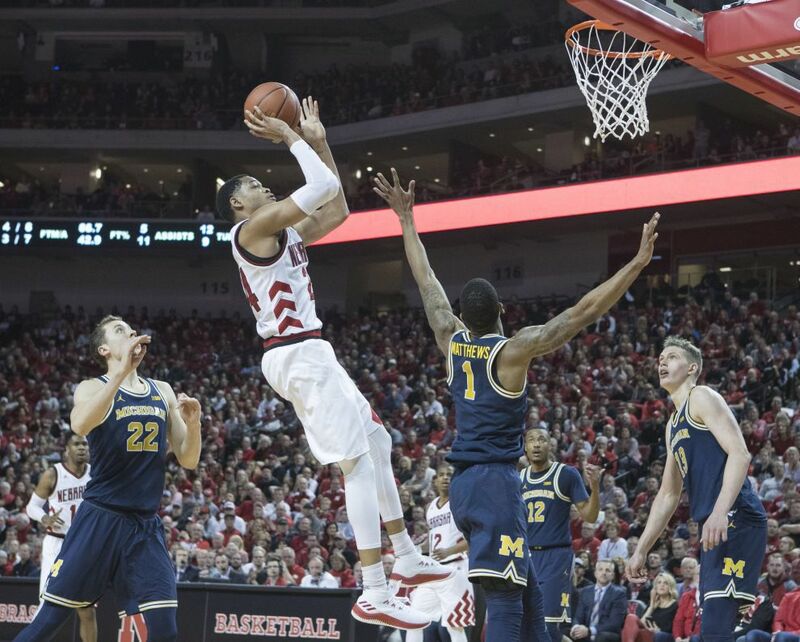 LINCOLN – Tim Miles wanted his team to do three things on Saturday. Build a lead, win the game, and get into the holiday break without anyone getting hurt. It was not nice and the lead-building part lasted a while, but Nebraska checked all three boxes in an 86-62 win over Cal State Fullerton before 13,349 at the Pinnacle Bank Arena. "We can probably do nine things Take this game and try to get better," Miles said. "But at the end of the day, I thought we had done a good job and slowly expanded the leadership." 0-2, the program's best program launch since the 2010-11 season. James Palmer led the way with an efficient 23 points, scoring 7 for 14 off the ground and 4 for 6 out of the 3-point line. Nebraska scored 50 per cent off the ground in the second half, beating three points to 10 out of 22. Cal State Fullerton scored 38 per cent off the ground and 4 for 19 out of 3 points. Kyle Allman scored 16 points for the Titans, but made 17 shots. Nebraska took a while to decide on Saturday afternoon. The watchman Thomas Allen was too late, and Miles started the first six minutes of the game. In the place of Allen began Sophomore Nana Akenten, which was in rotation, said Miles. And so Cal State Fullerton (3-9) resisted a lack of Nebraska defense nearby. Two straight floaters from Austen Awosika put in an early 17-13 lead in the middle of the first half. Due to the lack of regular routine and the prospect of going home after the game, the game on Saturday was very motivated, said senior security guard Glynn Watson. That may have contributed to the slow start. "It's pretty hard because we did not play for about a week," said Watson, who finished with 10 points and 10 assists. "We started slowly, but we picked it up and came away with a win. We made it. " Cal State Fullerton prevailed in the first half against Nebraska 22-17 and scored NU 22-8 in the color. NU led 36:25 in the break, but went through two separate periods of more than 3:45 in the last 10 minutes. Fullerton scored just 35 percent of the penalty area and scored nine goals, but was within striking distance during the break. The second half was a different story. Nebraska came out swinging. Palmer and Isaac Copeland exchanged 3s, and a 1 for Isaiah Roby completed a 9-2 run to give NU a comfortable 18-point lead early in the second. In the first eleven minutes of the match, Roby scored neither a goal nor a record, but ended up with 20 points and eight boards. "I was aggressive early and did not shoot," Roby said. "I started shooting later in the game." Nebraska increased the lead to 21, but Fullerton would not go away. A 9-0 lead in just over two minutes reduced the lead to 12 minutes with nine minutes. The Huskers countered with a 3 by Palmer, two Watson free throws and a Roby break-in to recapture a 19-point lead and victory to return. "I think Coach Miles did a damned good job of building a great culture," said Fullerton coach Dedrique Taylor, "for our level we're a talented group of guys, but right now we're not doing that same games that Coach Miles has his team do. " Nebraska has not played for a week and has time for the team for the first time this season, with players dizzy about the idea of ​​going home after the game The normally serious and monotonous Palmer chuckled most of the press conference and wished the media "Merry Christmas" on his way out the door. For Miles, as his team relaxes, the break focuses His team is 10: 2, but the Big Ten are expecting the New Year. 3-point shots (4-19) – Arnold 2-5, Smith 1-2, Awosika 1-2, Clare 0-1 , Rowe 0-2. Ahmad 0-3, Allman 0-4. 3-Point Shots (10-22) – Palmer 4-6, Akenten 3-4, Allen 1-1 , Roby 1-3, Copeland 1-3, Thorbjarnarson 0-1, Watson 0-4. A – 13.349. Officials – Courtney Green, Edwin Young, Mark Riggs.